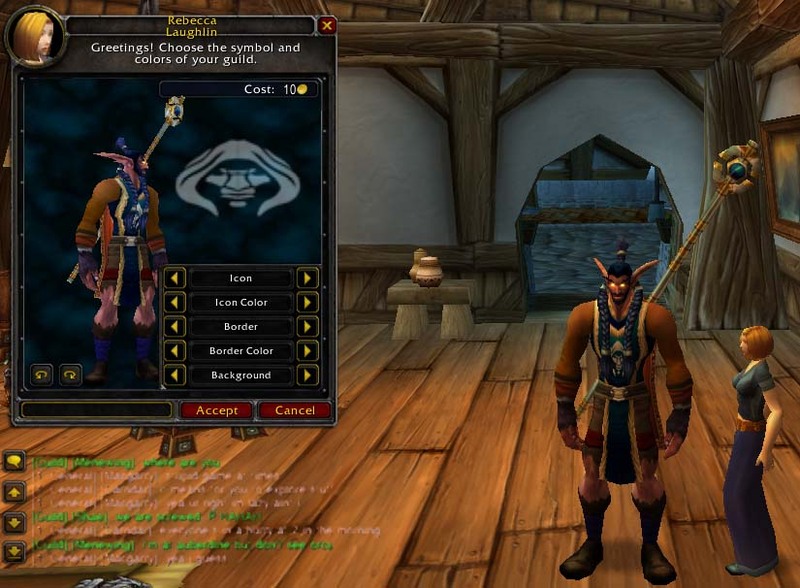 As you know we are trying to fix a Guild Tabard that all members of the guild may buy from a Tabard Vendor. We need 10 gold to unlock the tabard, and as of now we have collected 3 gold, 92 silver and 32 bronce, so anybody who wants to contribute, make contact with Morphius. This is how I've planned the design for now. If it's the wish of the guild members, I will try to come up with another design. Click the image to se a bigger picture. This site is a bit crappy at the moment, but I hope it will get better with time. I'm making this site as a place where guild members can get information about guild activity. For now we don't have any big plans, but in time we might decide to plan a massive offense on a particularly hard quest or raiding parties. Time will show. For now we'll just enjoy a great game and help each other out when the opportunity arises. In the near future we'll just try to expand a little more. 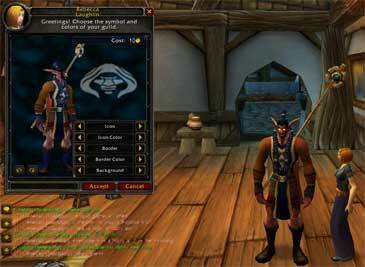 We will try to fix a in-game guild tabard. When that time comes we will have to decide what motive the tabard should have, and then we will have to raise 10 gold to unlock it. We'll get back to this.